You were not clear in your order and hence you got the item you did not want. We cannot go back and forth since you are pretty far from us. We did not get mad but if you can refuse an order once then you can refuse it again. Great products, reliable with good deals. Reliable with good deals. Great products, fast delivery and cool drivers. Highly recommended. 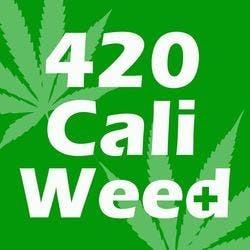 From the South Bay, throughout LA, this is the best weed ever. Multiple different great quality flowers you could chose from. I used to refuse getting flower delivered until I stumbled upon 420 Nature Aid! Better quality than what they have in the shops you’re going too, and better priced. Quick friendly service. Check out the hybrid Humboldt gold it's dank. One of the best delivery service In the area. Excellent delivery service!! Will continue to use for sure. Only delivery service I'm loyal too. Good quality meds and professional, yet reliable service. Highly recommended. 2 thumbs up, 5 Stars! I used these delivery service today and the flower is out of this world. Driver very professional and very quick. They have lots of specials on their website. I highly recommend them.